Digital Comics Distribution – What does the Future Hold? 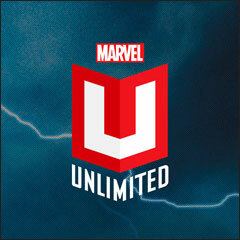 Marvel has launched Digital Comics Unlimited recently- access to over 13,000 comics from their digital catalog for a monthly or annual fee. It’s sort of like a Netflix for comics, but only Marvel comics. You can read more about it here. The news of their unique distribution model got me thinking. It’s been obvious for a while that digital distribution was a big part of comics’ future – the question has been what form would it take? The relative success of Marvel Unlimited could have a lot to do with the future of how comics are made available as a product. There’s been no small amount of ink and pixels used to talk about how much the monthly comic book has become a dinosaur. I have as much sentimental attachment to it as anyone, but the realities of the market and printing have driven the cost up to $3.99 or more for what is still a 15-20 minute read at best. I don’t think the monthly comic will completely go away any time soon, but I strongly believe that you’re going to see more and more titles available only in digital form while being serialized, until they are collected in a print edition/trade paperback/graphic novel exactly as they are today. 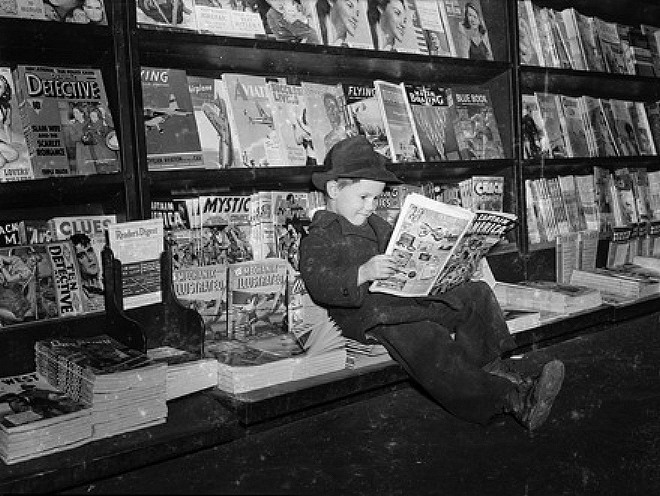 When digital comics first emerged, a lot of the attention was on format – how to create the best viewing experience on a desktop computer, or a laptop or Kindle, while still preserving something of the traditional comic book look-and-feel, and hopefully keeping the content in a form that could work both digitally and in print. We seem to be moving past that now and the next question is what will become the prevalent business model for digital comics in the 21st Century marketplace? Will each publisher have their own digital comics platform, or will there be one distributor that carries content from multiple publishers? Consider the iTunes model, with the alternative being that each music label had their own, exclusive platform for music downloads. Or Netflix, with the alternative that each movie studio had their own platform. The publishers would love to have their own platform – it cuts out a 3rd party middle-man from taking a share of the profits. But is that what the consumer wants? Savvy music and movie buffs may pay attention to what music label or movie studio produces the entertainment they enjoy, but most consumers just follow the artists they like. A typical moviegoer will decide to see a film based on the cast or director, or if the trailers and commercials look good, but don’t care if the film was produced by Warner Brothers, MGM or Sony. With comics, the major publishers have franchises and characters they’d prefer that you follow. It’s great if you’re a fan of Matt Fraction or Greg Capullo, but while the publishers are happy to take full advantage of a creator’s talents and star power, they’d rather you follow their characters, since they OWN those and will always be able to reap the rewards of that following. 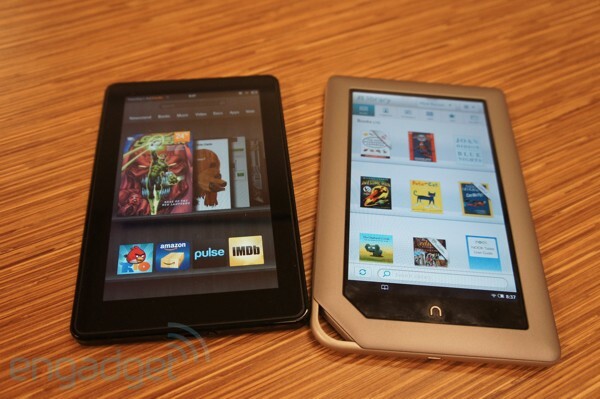 Then there’s the question of paid downloads versus a different profit model. Many web-based comics give the content away for free on line, but make their money from advertising, merchandise, or print editions. This has the advantage of making the potential piracy of the digital content a relative non-issue. Still others use a pay-what-you-can or donation model, which depends on an appreciative fan base wanting to support the creators of the content they enjoy and willing to contribute for the sake of its continuation. While the digital comics landscape may never distill itself down into a single unified system, it seems likely that a particular model will become the dominant one, with the major content producers adopting a preferred system and a conventionel wisdom emerging as to what is the most profitable model. Like many of the format wars of the past, the winner may not be the best system. Many people will tell you that Betamax was better than VHS, or that HD-DVD had advantages over Blu-Ray, but in the end the inferior formats won decisive victories in the marketplace because of locking up market share. There’s a lot of experimenting going on right now with digital distribution models, and a lot of competition for market share. DC and Marvel are both pushing digital editions of their comics, either directly or using partners like Comixology. Mark Waid’s Thrillbent is another new player on the scene, trying to produce content exclusively for the digital realm and offering it to readers for free. Again, I don’t think digital means end of the comic book. But it’s a new format and a chance to reach more readers. How’s that going to work in the marketplace five or ten years from now? Your guess is as good as mine… but I can’t wait to see what it all looks like!